This gets a little complicated because both words are translated by the word "lobster." But they're different species. 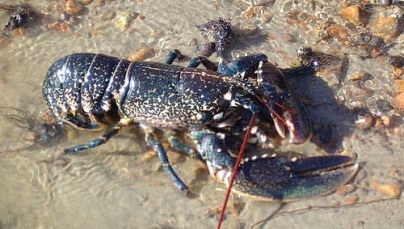 But this European lobster is not exactly the same as the Maine, or American lobster, which has the scientific name of Homarus americanus. But they are quite similar. Now for what the Italians refer to as aragosta (Palinurus elephas). This unfortunate-looking critter is the European spiny lobster. Here it is. 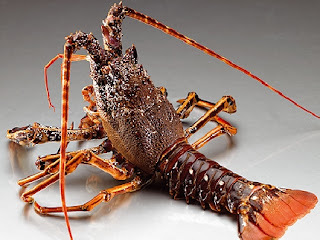 We of course have spiny lobsters in the US, too, but I never see them because I live in New England. The takeaway from this is that you have two entirely different animals here. There is disagreement about which one tastes better, but in Italy the aragosta will cost more than the astice.